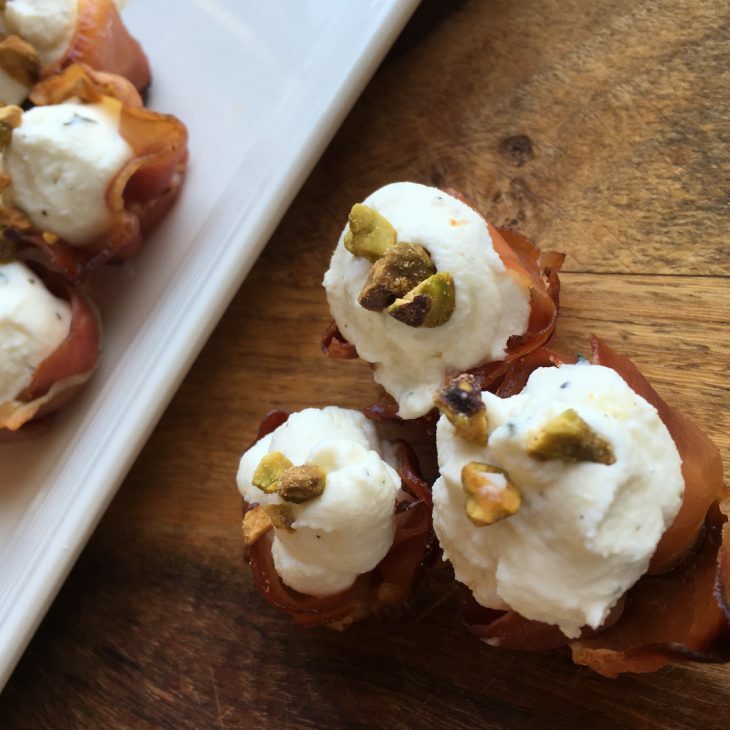 Looking for a party appetizer that will impress even your most critical guests? 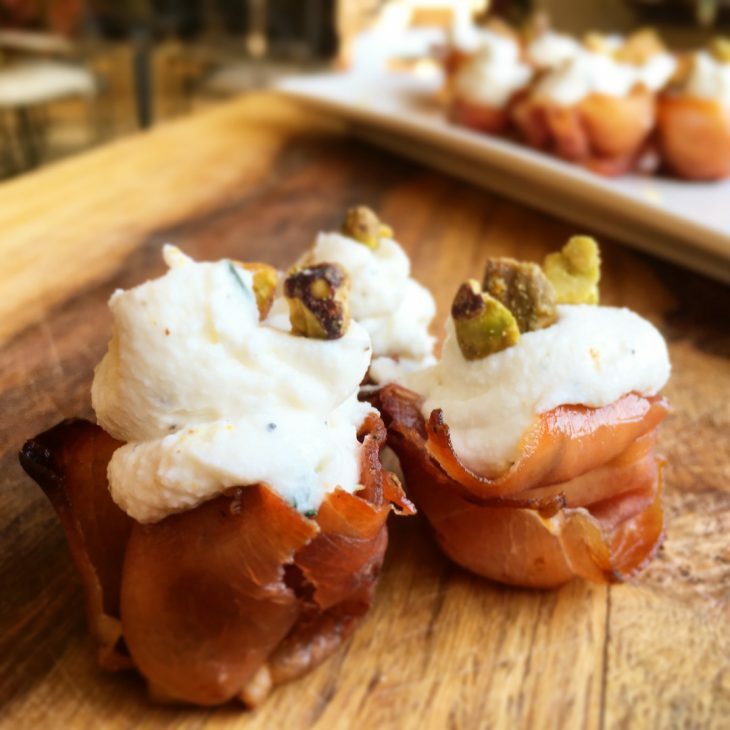 Look no further than these Prosciutto Baskets with Whipped Goat Cheese Filling. Easy enough to make and only requires a few ingredients. These elegant appetizers look a lot more complicated than they actually are. The trick is to use to prosciutto that is sliced thin enough to manipulate, but not so thin that it will fall apart as you work with it. Once prosciutto baskets are cool to the touch, transfer cheese mixture to a plastic sandwich bag. Cut a small tip off one corner and pipe cheese mixture into each prosciutto basket. Top each cheese-filled basket with chopped pistachios. Transfer to a serving platter and serve immediately.